Measure, estimate and close jobs on the spot. QuoteHero (QH) was built by estimators for estimators, so we know firsthand how valuable your time is. 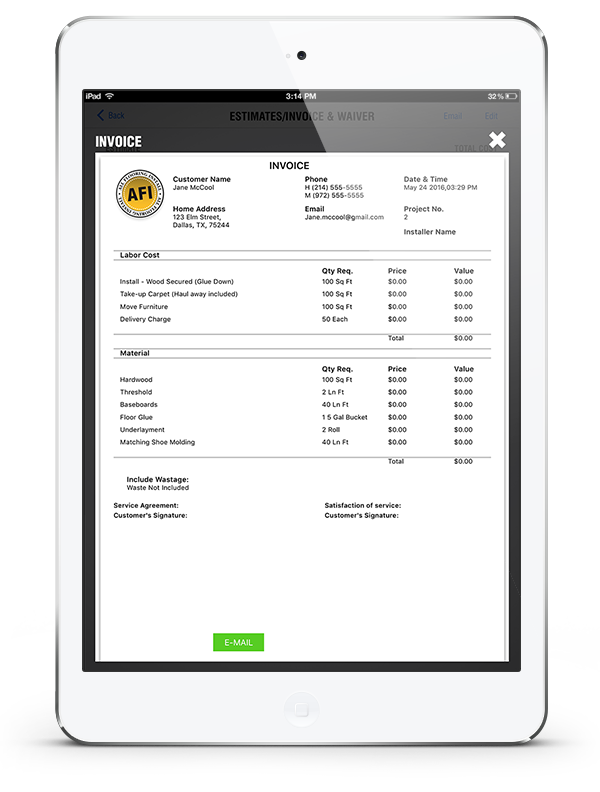 QH uses a clean, spacious and user-friendly patent-pending interface that makes creating an estimate a great and even fun experience. It follows a natural workflow so you can work from the beginning to the end of a project in a seamless manner. 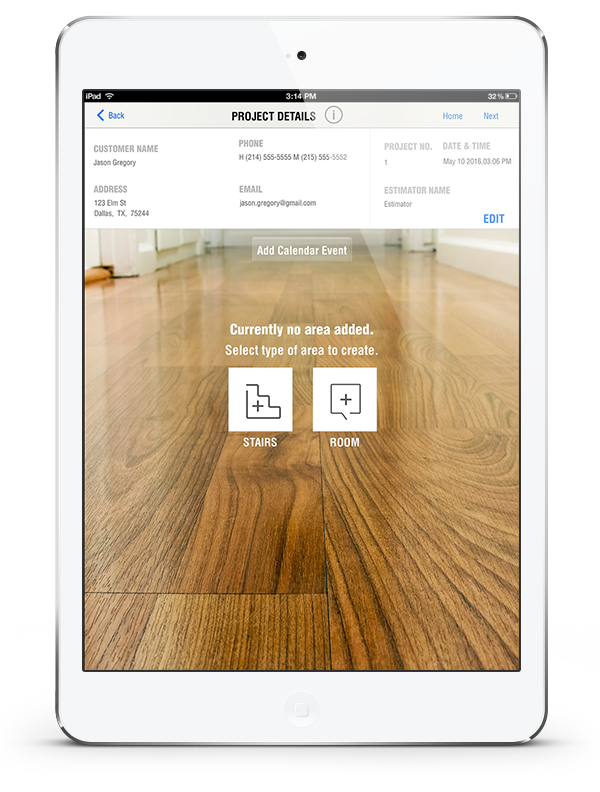 We’ve been in the flooring industry for over 15 years and have tried every app out there, so trust us when we say there is no other app like it. It was built to be as easy and intuitive as possible. 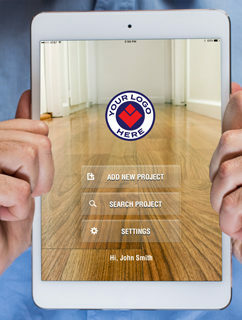 QH increases efficiency and portrays a professional image allowing you to measure, estimate and close jobs on the spot. Save time by cutting out manual calculations and double-entry; and spend more time growing your business. Most applications calculate square footage using perimeter measurements, which is a waste of time. QH uses the measurement process most commonly used in the field, which uses fewer measurements to get the same square footage. 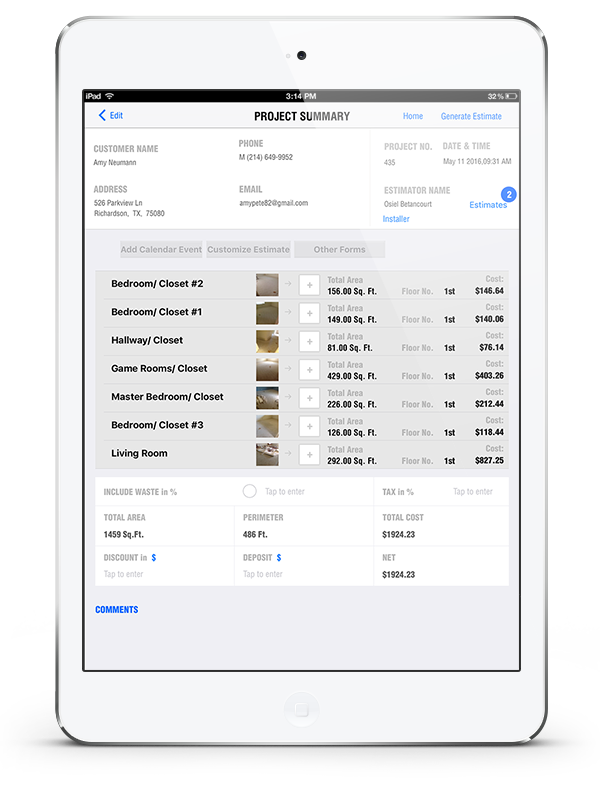 You can modify your estimates by adding or removing rooms in literally seconds! 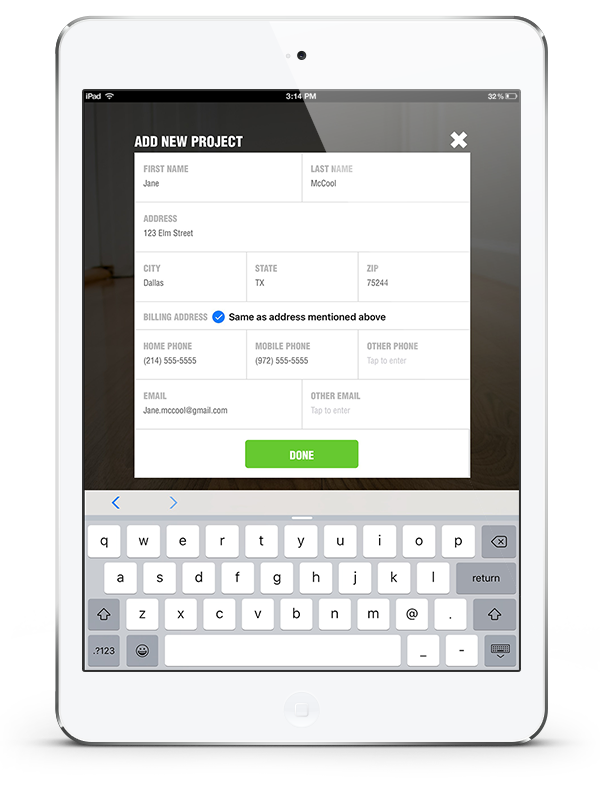 Have customers sign estimates and email them a copy on the spot!